Olafur Eliasson. 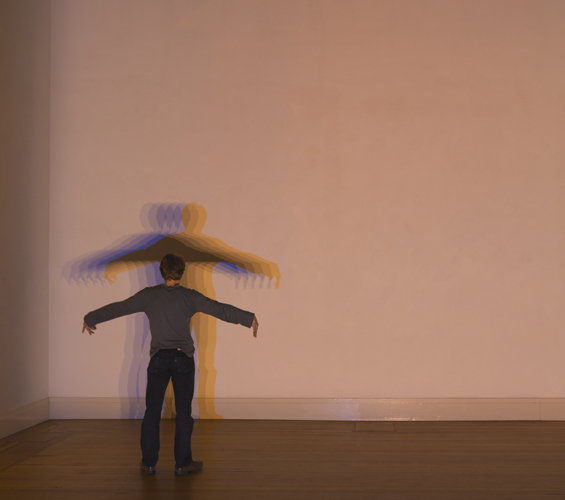 Your uncertain shadow(growing), 2010. Halogen lamps, glass, aluminium, transformers, variable. 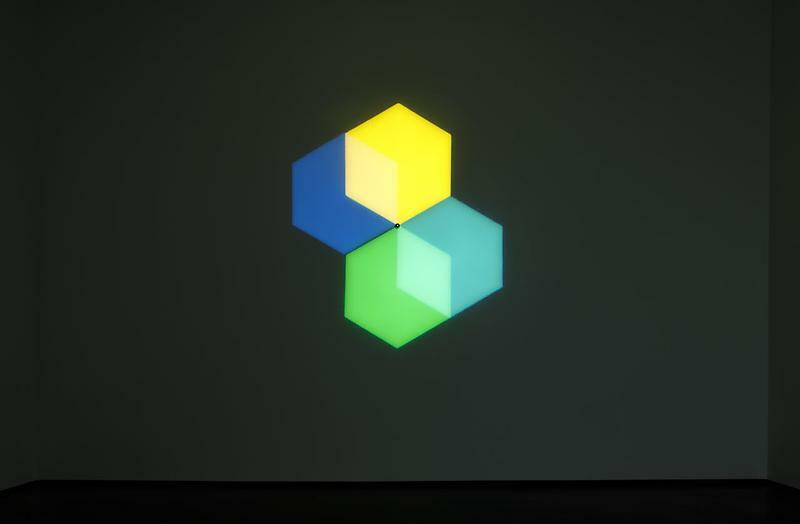 Courtesy: The artist and PKM Trinity Gallery © 2012 Olafur Eliasson. Olafur Eliasson. 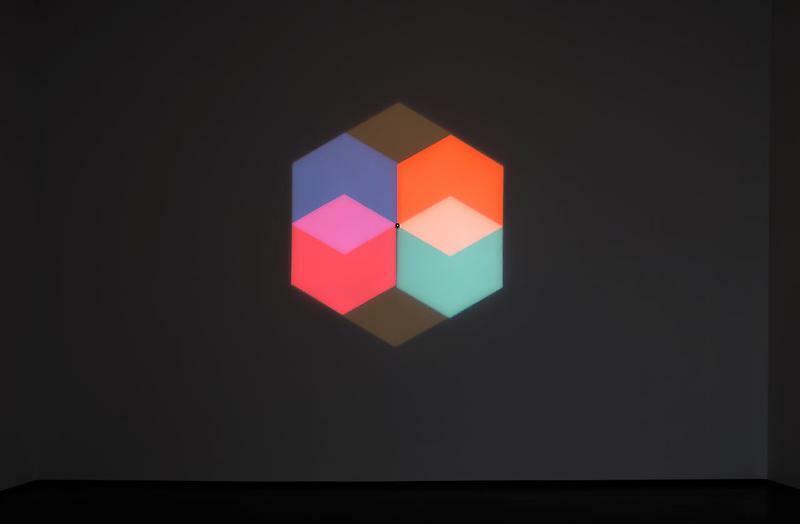 Lava kaleidoscope, 2012. Aluminium, stainless steel, mirror, colored glass(yellow), lava rock, 211 x 88.5 x 220 cm. 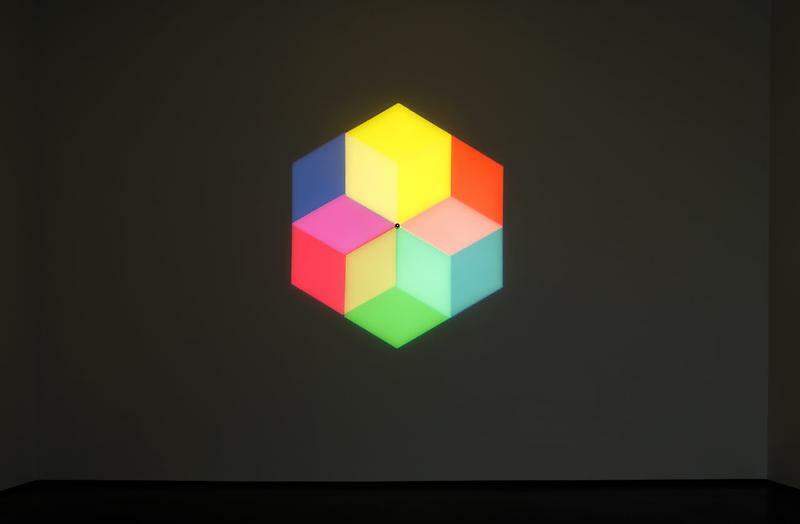 Courtesy: The artist and PKM Trinity Gallery © 2012 Olafur Eliasson. Olafur Eliasson. Afterimage star, 2008. 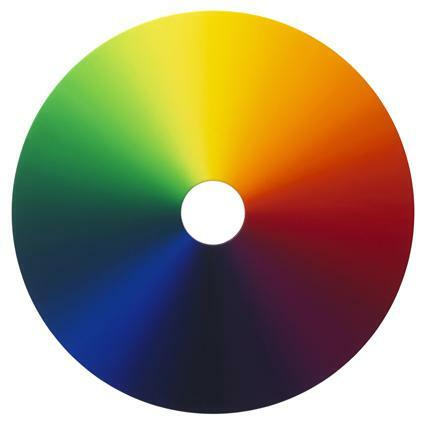 Eight spotlight, wall mount, color filter foil(blue, yellow, magenta, red, green, turquoise), control unit, Duration_4:43 min. 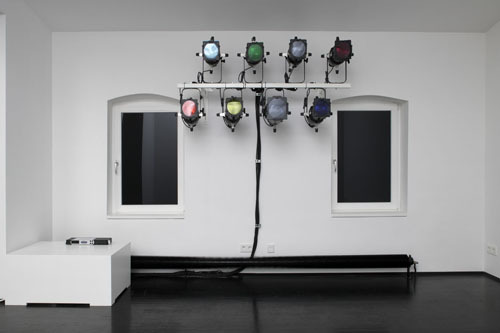 Photographer: Jems Ziehe, Courtesy: The artist and PKM Trinity Gallery © 2012 Olafur Eliasson. Olafur Eliasson. Afterimage star, 2008. Eight spotlight, wall mount, color filter foil(blue, yellow, magenta, red, green, turquoise), control unit, Duration_4:43 min. Courtesy: The artist and PKM Trinity Gallery © 2012 Olafur Eliasson. Olafur Eliasson. Emergent fade - color experiment no.48, 2012. Oil on canvas, 125 diameter. Courtesy the artist and PKM Trinity Gallery © 2012 Olafur Eliasson. Olafur Eliasson. Face surveyor, 2012. 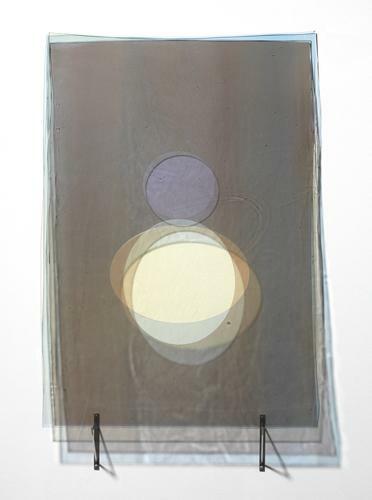 Stainless steel, color glass(yellow), color-effect filter glass(magenta), mirror, 94.4 x 96.2 x 20.1 cm. Courtesy: The artist and PKM Trinity Gallery © 2012 Olafur Eliasson. Olafur Eliasson. Bhutan borrowed view(blue, light red, light yellow), 2012. Colored glass(blue, light red, light yellow), stainless steel, 102 x 60 x 14 cm. Courtesy: The artist and PKM Trinity Gallery © 2012 Olafur Eliasson. Olafur Eliasson. Your emergence(red to blue), 2012. 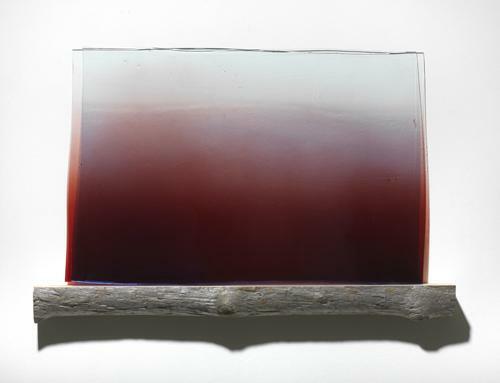 Wood, colored glass(red, blue), stainless steel, 72 x 110 x 11 cm. Courtesy: The artist and PKM Trinity Gallery © 2012 Olafur Eliasson. 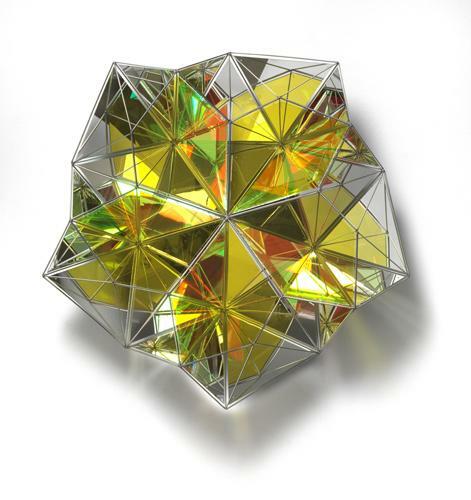 Olafur Eliasson. Welcoming ellipses, 2008. 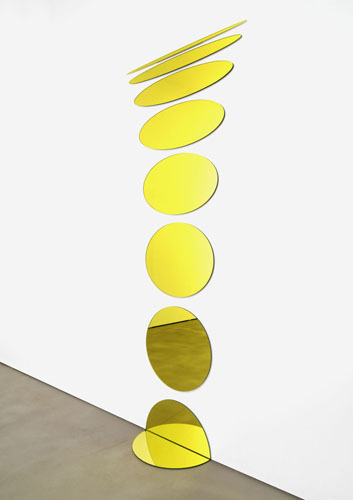 Laminated mirror(yellow), aluminium, rubber, 246.7 x 99 cm. 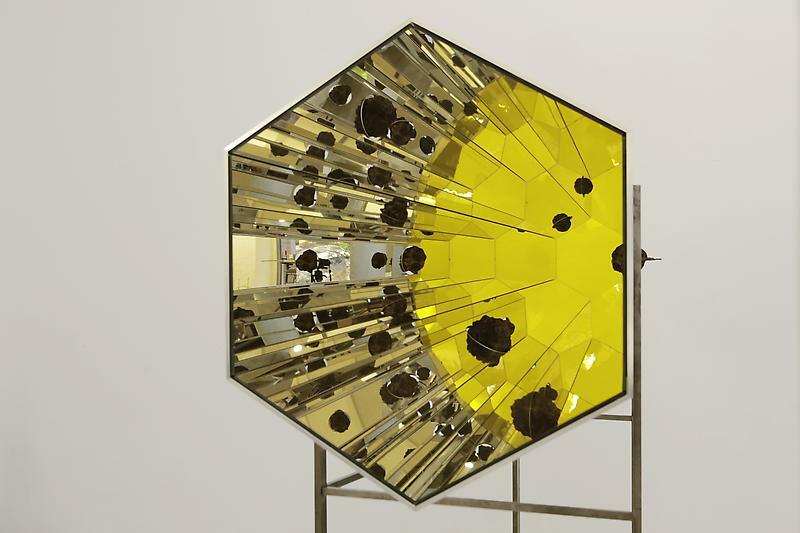 Courtesy: The artist and PKM Trinity Gallery © 2012 Olafur Eliasson.